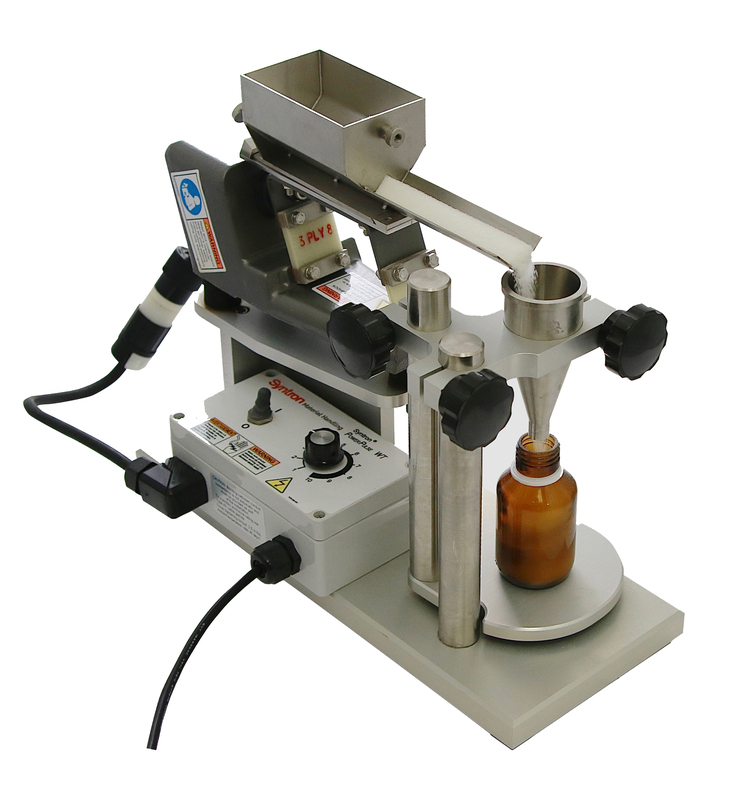 To dose the charge directly into the container in multiple, partial doses using a filling gun with an O.D. small enough to fit into the mouth opening of the chosen vessel. 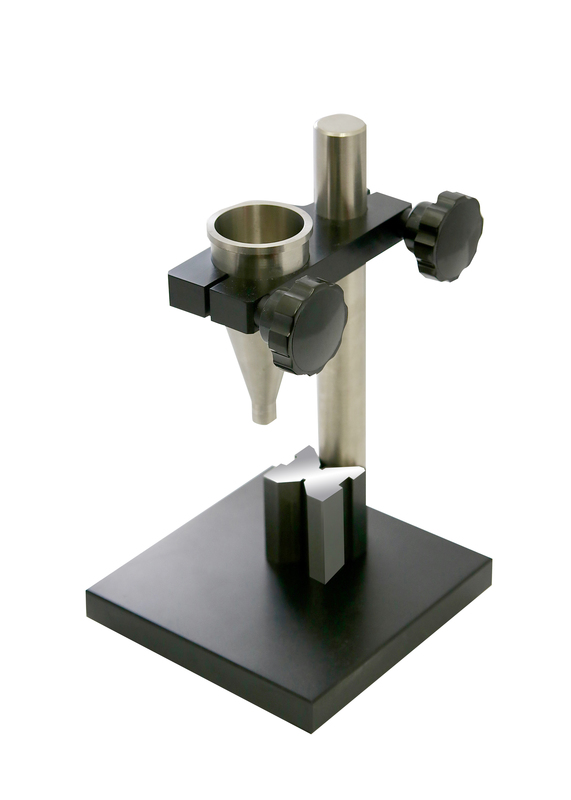 To dose the total charge into a static, pedestal-mounted funnel. The full charge must be able to fit into the upper chamber of the funnel, and, the powder must be free-flowing enough to be able to flow unaided completely through it into the bottle. To dose the required full charge into the upper end of a dynamic, vibratory feeder w/pedestal-mounted funnel. Again, the full charge must be able to fit into the upper chamber of the feeder. However, the powder need not necessarily be free-flowing for it to feed into and through the funnel and into the bottle. Most times, this can be a painfully slow process, but often it may be the only solution.